Click here to pay your monthly membership dues. Local 41 members work in the construction industry and earn family-supporting pay, good benefits, and the opportunity for advancement. 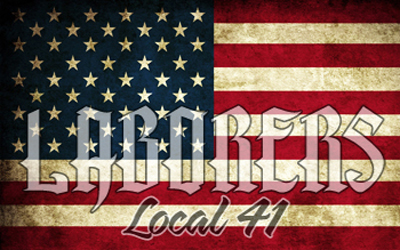 Members are involved in a variety of activities within our communities that help Local 41 to grow and strengthen. Members should attend our monthly meetings to learn more! Check the calendar on the right side of the home page for upcoming events. Members can get involved and get regular updates from your union by joining the LiUNA! Action Network.